Personal Injury / Workers’ Compensation | Thrasher, Pelish & Heaney, Ltd. Serving Northwest Wisconsin, including Barron, Polk, Washburn, Burnett, Rusk, Chippewa counties, Thrasher, Pelish & Heaney Ltd. is a litigation oriented law firm providing legal services for matters involving personal injury and workers’ compensation. Our experienced attorneys offer a broad range of experience and have conducted civil jury trials in 28 Wisconsin counties. 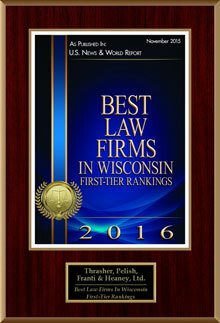 Contact Thrasher, Pelish & Heaney Ltd. today at 715-234-8105. 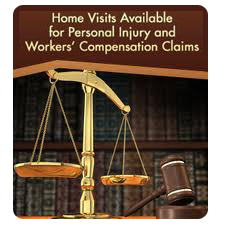 Home visits are available for Personal Injury and Workers’ Compensation Claims.